The near miss to bring about political change in the last general elections have left many wondering if BN’s five-decades stranglehold on the political powers of Malaysia will ever be broken. As a continuation of this series of interviews of PR leaders on its future, PKR’s deputy president Azmin Ali sketches out the future of the country’s most enduring political alternative to BN, Pakatan Rakyat. Report by T.K Tan. Photograph by Ahmad Yusufi. This was an exclusive interview with The Rocket from December 2013. How do you assess the current political scenario in Malaysia now? I am optimistic that Malaysia is witnessing a new politics that is being brought about by Pakatan Rakyat in which the race-based politics will be a thing of the past. The past taboo of mental barriers amongst the races has clearly been broken since 2008. I was on an Air Asia flight to Sibu during the Sibu by-election campaign in May 2010. In the same plane I saw many PAS Muslimat (women wing) members from Kelantan flying together to help DAP during the campaign. These are conservative segments of the Malay society helping out DAP, the anti-Islam party according to UMNO. Such sight has never happen before in the past 50 years. It speaks volume of how far we have progressed in the Malaysian political scene and inter-races interaction. All the various races are beginning to steadfastly reject race-based politics. It is also evidently so amongst the younger generation who are more open-minded and see diversity as a strength and not a weakness for the society. Malaysia’s multi-cultural society is an impetus to generate advantages in its economical growth and national and social integration. That optimistic scenario was already explained exhaustively before the last general elections; however it has not translated to votes for change in the last GE. Why did PR not delivered on the results? We must understand that change doesn’t happen overnight. There was improvement in the election results compared with the 2008 GE. Less we miss the trees for the forest, don’t forget that we have denied BN’s two-third majority two times in a row and also increased the number of seats. Most humiliating of all for BN is it is now a minority government as PR has the popular votes majority. UMNO has tried to paint the results as a work of individual parties and not PR the coalition. But the majority of the voters have accepted the existence of PR even though we don’t have a common logo. Our consistent agreement with each other and our unity has convinced Malaysians that we are a viable alternative to BN. For me this is a great achievement. This political struggle for a better Malaysia is a marathon. Our political barriers are formidable, what with the racial and religious rhetoric constantly being harped by BN to mislead Malaysians. The Malaysian politics is tragically still very much dominated by religious and racial sentiments. Our challenge now is to enter into the rural Malay areas and convince them that supporting DAP and PR is not a threat to abandoning their duties as a Muslim but actually celebrating other cultures and accepting other religion as required by Islam itself. We also need to inculcate to them that PR is the future. The past GE results show a downtrend of Malay support for PR. Has the perception that ‘if PR wins, the Malays lose out’ gain traction amongst the Malays? I don’t deny that UMNO has successfully exploited this opening and revved the vulnerable psyche of the Malays in believing such lies about PR. However we shouldn’t be too quick to summarise that UMNO’s rise in Malay votes is across the board. A big portion of urban Malays are very much with PR as they have access to the alternative media and the internet as our victories in the urban areas throughout Peninsular Malaysia shows. Even in Terengganu, PR through PAS has increased its popular votes substantially from the last GE. In Gelang Patah, which has a distinctive and sizable urban non-Malay and semi-rural Malay enclave, DAP’s Lim Kit Siang managed to win the seat handsomely in the last GE. Bear in mind that the seat has only around 52 percent Chinese voters with 34 percent Malays. Lim could not have carried the seat without substantial Malay support. Don’t forget the Johor Malays are distinctive breed. They don’t embrace political change that easily. Now we are even seeing the winds of change reach Johor’s Malays as well. Why, Lim who in the past was seen as the bogeyman of anti-Malays amongst the brainwashed Malays and was up against the former Menteri Besar of Johor, the penultimate ‘defender’ of Malays in Johor. Yet he managed to win so convincingly in Gelang Patah with substantial Malay support. Likewise in Temerloh which is a rural seat in Pahang PAS’ Nasruddin Tantawi managed to beat an UMNO deputy minister and claimed its first parliamentary seat in the state. I admit there are challenges with the rural Malays. But I believe with concerted effort by PR to constantly visit and explain the issues to the Malays, there can be breakthrough amongst this segment of the voters. The six-million ringgit question that looms large in the last GE was PR’s failure to win over the rural voters. 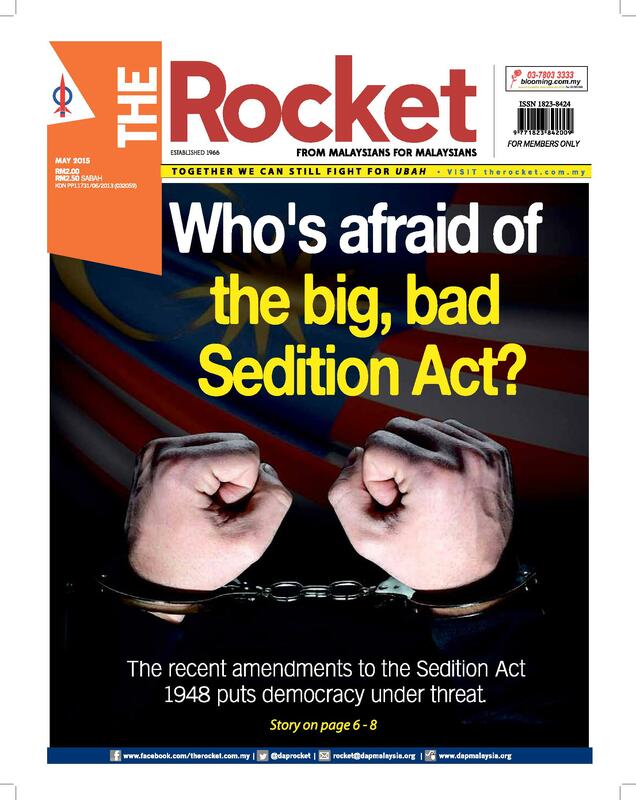 In an analytical piece by the Rocket in August 2013, it was shown that with 11.4 percent of the registered votes cast, BN won 85 seats with less than 50,000 voters. The overwhelming majority of these seats are rural in nature. Does PR have what it takes to tackle this BN’s stronghold? Rural voters are often simple minded and less sophisticated people who are not looking to the arguments of the elites. They want elected representative that is constantly in touch with them. “Our main goals in these outreach efforts should be to raise the rural folks’ political awareness and conveying the message that PR is the future of the country. 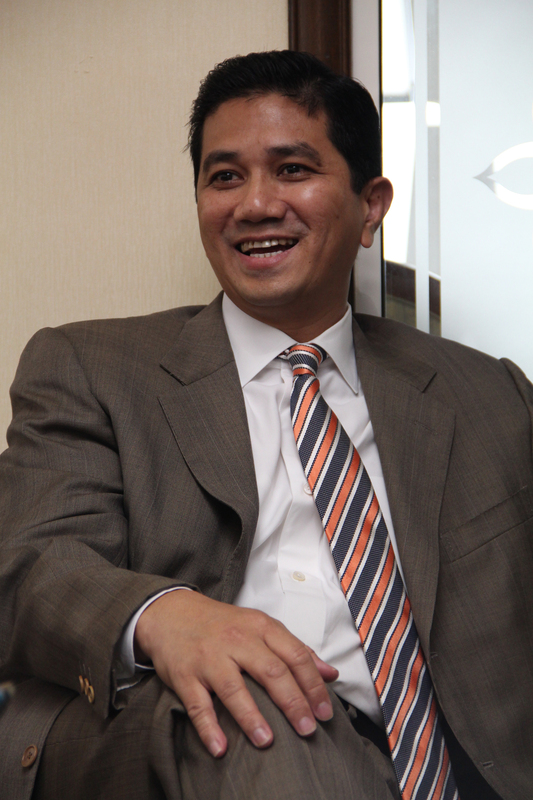 I am optimistic that it will happen,” Azmin enthused. As the majority race in this country, the Malays will still be the arbiter of the government in Malaysia. How will PR break into this UMNO stronghold? Azmin points out that much has changed in the current political culture, pointing out the solidarity on PR leaders’ part and that is a positive sign for Malaysia. Trading of seats amongst parties and candidate swapping at the last minute have long being the feature of Malaysian politics. It has also caused much disruption to electioneering work, which is even more crucial in the alternative information-starved rural areas. Indeed the need to identify the potential candidates early on to do this work takes extra urgency now as the stakes for the next GE is higher. That means the PR parties need to identify early on the seats it is targeting to work in and the people to do the job. Does PR have the consensus in seat allocations at this point in time? In the last GE, third party candidates and disunited opposition front in Sabah allowed BN to claim four parliamentary and eight state assembly seats. How will PR deal with the local opposition parties, the spoilers in the next GE in Sabah and Sarawak? Five years into a formal coalition and a second try at it, has PAS, PKR and DAP progressed much in terms of interparty cooperation. Azmin calls the spade. As the party contesting the most number of parliamentary seats in the last GE, particularly in Sabah and Sarawak, PKR has been branded as greedy for power by certain quarters. Will PKR be willing to let the other PR parties help out in these ‘difficult’ seats, which requires much manpower, investment and time to penetrate them? We are more than happy to share the seats with the other PR parties. Let me qualify this perception of PKR being greedy with the seats in east Malaysia is totally baseless. I was involved directly in the seats negotiation with DAP and PAS in the last GE. We know that DAP strength is in the urban areas, especially with the Chinese community in Sarawak and have focus its efforts there. PAS on the other hand is limited to several Muslim-majority seats. PKR is left holding the ‘difficult’ seats. If we in PKR had not taken those seats, BN would have won those seats with walkovers, i.e. no contest. We had to take those seats to protect the interest of PR. We must put up a challenge. That was the risk we took. Now we see that DAP is moving into the rural areas with its Impian Sarawak and Impian Sabah programs to engage the rural folks and in the meantime also build up its presence in these rural areas as well. On behalf of PKR and in the good interest of PR I am ready to negotiate with DAP and PAS regarding some of these seats. Ultimately the one who benefits is PR. If we see that DAP and PAS has the strength and capabilities in some of these seats, we are willing to release these seats. We are not capable of holding on to too many of these seats because it is so costly to do so. This article was written by admin on Tuesday, September 23, 2014 at 1:26 pm. You can follow any responses to this entry through the RSS feed. You can leave a response, or trackback from your own site.